*Content Courtesy of Capital Ford. Everyone knows that sinking feeling when you’re driving around and that little light pops up on your dashboard. That dreaded small engine or some other thing that looks like a squiggle. But what do they mean? Are they really that important? 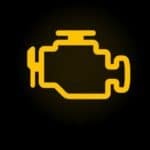 We’re here to keep you calm and explain some of the most common dashboard lights and if it’s necessary to take action! Let's keep this simple because there are so many different signs that could appear on your dashboard. We’re going to break down a few warning symbols and safety symbols. Some of these indicators are to be taken lightly and others are there to tell you there’s a problem. So how can you know the difference? Usually by the colour. If something is red and blinking at you, it should be a generic sign to tell you to pull over. This would be a good time to check your owner’s manual or call someone for service help. Often times, there are yellow or blue lights on our dashboards. These could be warning signs, maintenance reminders, or something as simple as the cruise control indicator. 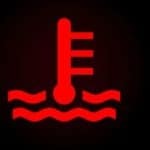 This means your vehicle’s coolant is overheating. You should pull over and let your vehicle cool down or you could overheat your engine and cause serious problems! This symbol can also appear in blue which means your coolant is below a temperature that would allow your vehicle to perform normally. If you see it in blue, you should also pull over and give your car a few minutes to warm up before you continue. This is a tricky one. It’s a rather common symbol but it could mean a few different things. One, your engine may have lost normal oil pressure. Two, it could be something straightforward like your oil is too low. Third, it could be an indication of serious engine problems. The annoying part is: you just don’t know. Your best bet is to pull over and call someone for assistance. Ah, the dreaded battery light. Everyone knows what a battery looks like! 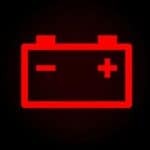 If you see this symbol, it means your battery is dead, or the charge is low. You should still pull over if it appears on your dash and turn everything on your vehicle off. This includes stereo, heating or AC, any other accessories, etc. However, do not turn the vehicle itself off, as you don’t know if it will start again before you can get it to a shop. Safety symbols often appear in different colours on your dashboard, but they are also just as important as warning signs. They’re exactly what they sound like. They appear to keep you and your vehicle as safe as possible. So if you see one of these symbols pop up, your best bet is to take it seriously and take action as needed. Pretty much anything to do with your engine can be very serious and it should never be ignored at all costs. If you see a small engine light, no matter what colour because it can differ from vehicle to vehicle, pull over immediately and book an appointment to have your vehicle checked. An engine light coming on could be anything from a faulty sensor giving you an inaccurate reading, or something actually seriously wrong. This little symbol may not be as obvious as some of the others. The punctuation mark means one, or more, of your tires are low on air. We’re not sure why they didn’t make it look more like a tire, but we’re not here to discuss that. If you see this light, head to your nearest gas station and check your tires. While you’re there, you may as well check all four tires and fill accordingly. 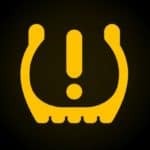 Thankfully, this is not one of the more serious lights to appear, but if you ignore this one for too long, your tires will wear unevenly or one could pop if driving at high speeds. 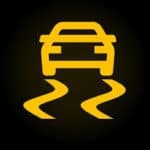 This symbol means your vehicle is losing control and is most likely slipping on ice or rainwater. It should only appear for a few seconds or until you coach your vehicle back to controlled driving. However, if it stays on, you may have something to worry about. This one could mean a problem with the traction control system in which case you should visit a mechanic. It usually isn’t a good feeling when a symbol pops up on your dashboard, but it’s unavoidable. Vehicles go through a lot and sometimes they need some maintenance. Other times, the symbols they flash at us are just trying to keep us safe on the roads. Whatever the case may be, make sure you take all indicator lights seriously. 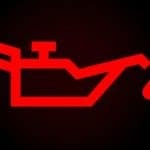 We all know someone who drives around with the check engine light on because “it’s always there. It’s just a sensor.” But this can be very dangerous and could be detrimental to your vehicle. Don’t ignore a light on your dashboard and seek help when necessary! If you ever have any questions or want someone to take a look at your vehicle, don’t hesitate to Swanson's Cars & Trucks Service Center, located at 2209 N 650 W, Warsaw (West of Warsaw, near Atwood).